If you have smoked marijuana several times a week or everyday within the past 30 days, you most likely have heavy or extreme level of toxic THC in your body. We present below a comparison chart where you will find a short summery of the five most popular detox marijuana products’ features. MDT Solution 5 Day Permanent Cleanser product is not available on the market anymore. So, the product was removed from the comparison chart. We found only one product on the market designed for users with extreme toxin exposure. We present below a short summery of this detox marijuana product features. I smoked a few bowls Tuesday night and Wednesday. I haven’t smoked in months…I have a drug test next Friday (today is Thursday). Chances of passing? I’m super skinny…6 foot and about 145 pounds. Cody.. There is a good chance that you might still positive for THC tomorrow. I would recommend checking your THC levels with a home urine drug test tonight. If you still positive, on your drug test day, you might try using a detox drink like XXTRA Clean. If you don’t have enough time to purchase this drink, you might try using a certo method plus B12 (for color). By using a home urine test in one hour after drinking XXTRA clean or using a certo method will show if you can pass it or not. I smoke heavily almost a G of wax a day, I don’t have a scheduled drug test but I hate my job and I need a new one ASAP and of course everywhere pee tests. I really want to put my 2 weeks in and try to get clean with in than but with how much I smoke I don’t know if that’ll be possible. Do you recommend any products to help? Kay..In your case, you might test positive from 35 up to 90 days since your last use. I don’t think you can detox naturally within next 2 weeks. So, if you like significantly speed up the natural body detoxification process we recommend completing at least a 10 day whole body detox program. Please read more details here. Don’t forget getting several home urine drug tests to monitor your detoxification progress. Hi I smoke long term and havy user I got test coming up in 15 to 17 days is there any advice for me from u pls. Arafath, Usually I recommend that extreme heavy users complete at least a 10 day detox program combined with light aerobic exercise like walking or swimming, drinking plenty of water, visiting a sauna and eating healthy foods ( no fats, junk food, sweets, alcohol or cigarettes). Remember that you should stop any exercise 24 hours before the urine drug test. Please read more details here. Don’t forget to get several home urine drug tests. This will help you to monitor your body detoxification progress. If after completing a 10 day detox program you still test positive, you might try rescheduling your test if you can. This will give you more time to complete extra days of a detox program. If you cannot reschedule, you might try using on your drug test day a detox drink like Mega Clean. 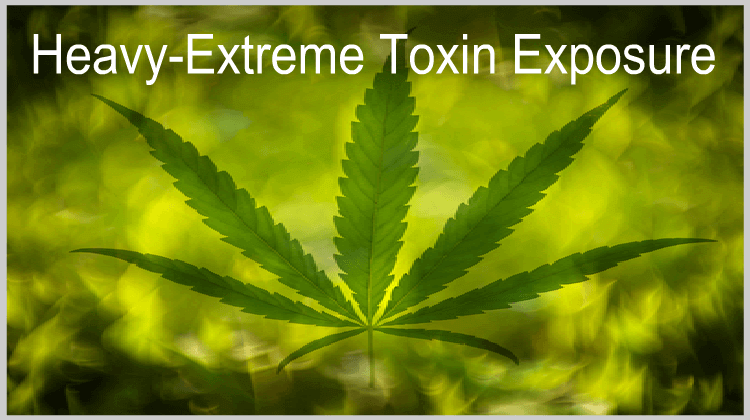 Because of your extreme THC exposure, you should take your body detoxification process seriously. Even though this might be a challenging process, this is the best approach to increase your odds of passing your urine test to the highest possible level. We have seen that some heavy users try using synthetic urine as their back up plan, if the urine drug test is unsupervised. I am a moderate marijuana user. 4-7 joints per month. Last time I smoked was a joint over two days last Saturday and sunday. Today is Friday. And I have a urine test on next friday. So my drug test will be in 11 days after I smoked last. I am not very lean body type but not very fat as well. I work out 3-4 times a week. For the next one week I am going to sauna everyday for atleast 30 minutes and drink a lot of water. Also have a fiber rich diet. Do you think there are high chances for me to pass the test because I really need this job and I am a bit worried. Random Swede..I think you have a chance to become clean by your drug test day if you keep abstaining from marijuana. You should do only light aerobic exercise (walking, swimming, riding a bike) and eating healthy foods (no fats, sugar, junk food, alcohol or cigarettes). I would recommend checking your THC levels with a home urine test on the night of your drug test. If you still test positive, on your drug test day, you might consider using a detox drink like Mega Clean. This should help to drop your THC levels below cutoff levels. Hi John. Ive been smoking about a gram a day of good but not great weed for the laat 2 months. I have a urine test in 35 days. Im overweight and very active. What should i do? Joe.. In your case, we usually recommend completing at least a 10 day Toxin Rid detox program combined with light aerobic exercise, visiting a sauna, drinking plenty of water and eating healthy foods. It is essential to avoid fried, fatty, junk foods, sweets, alcohol and cigarettes. I would recommend eating a diet low in carbohydrates and include mostly protein meals (chicken fish, turkey) with vegetables and fruits. If after completing a 10 day detox program, you still test positive on a home urine test, this means that you might need to complete several extra days of detox program and need more time to detox naturally as well. 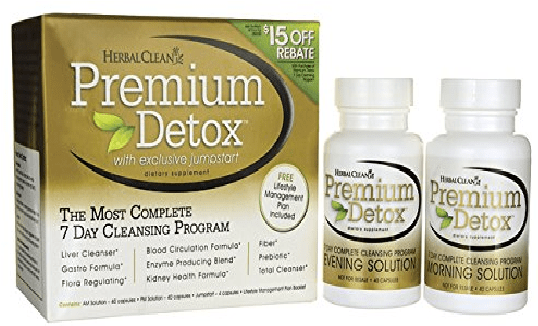 If you take your body detoxification process seriously and follow the detox program instructions and our recommendations, you have a good chance to detox properly until your drug test day.